Microsoft released a private beta version of its Cortana digital assistant for Android last month. While it includes similar features to the Windows 10 and Windows Phone version, Microsoft is taking its support of Android a step further with an updated app. In the latest beta version you can now replace the Google Now shortcut (pressing and holding the home button) to activate Cortana instead. 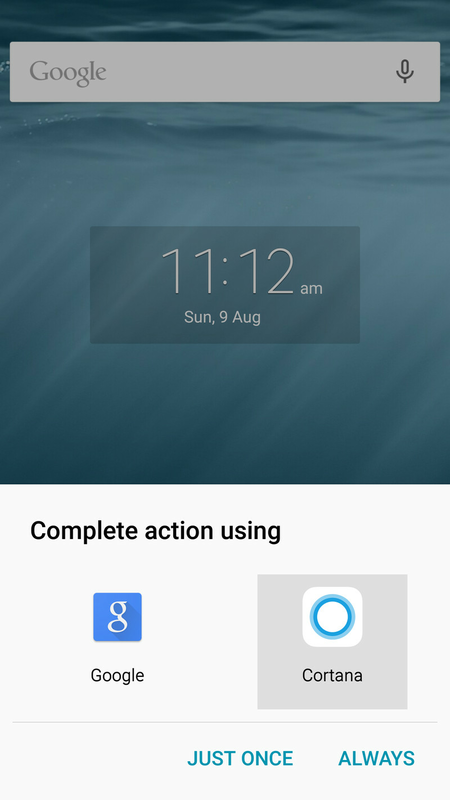 It's a much-needed addition that lets Microsoft take over a common way of launching Google Now on Android handsets. There are still other ways to access Google Now features, but Microsoft is clearly hoping that most Android users will experiment with Cortana or set it as the default home button setting. The update version still doesn't include "Hey Cortana" support, largely because of hardware limitations that prevent Cortana from always listening for the command. If you're interested in testing Cortana for Android then Microsoft has a sign-up process for potential beta testers.